Please select an option Aqua Burgundy Baby blue Chocolate Coral Gold Hot pink Lime Mint Plum Sky blue White Yellow Please select a Color. Please select an option King Queen Full Twin Please select a Size. 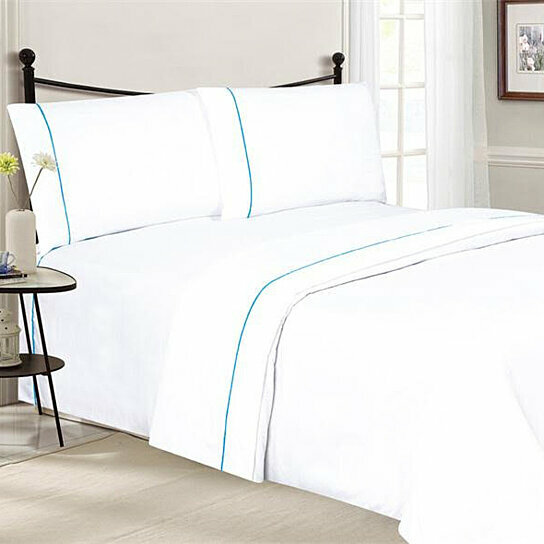 Made from premium, double-brushed microfiber material, this sheet set is buttery-soft to the touch, providing the foundation for the perfect night's rest. Care: Machine wash cold on gentle cycle. Wash dark colors separately. Only non-chlorine bleach when needed. Tumble dry low, remove promptly.